Africa’s billionaire philanthropist and the richest Black man in the world, Aliko Dangote joined Twitter Wednesday, January 1 using @AlikoDangote as his Twitter handle. The business mogul’s Twitter account was verified before he even tweeted and in less than 24 hours after joining Twitter, he already had more than 16,000 followers. The billionaire philanthropist used his inaugural tweet to express his sentiments on joining Twitter and to wish his followers a happy new year. He also used his first tweet to encourage his followers, using one of this favorite quotes. 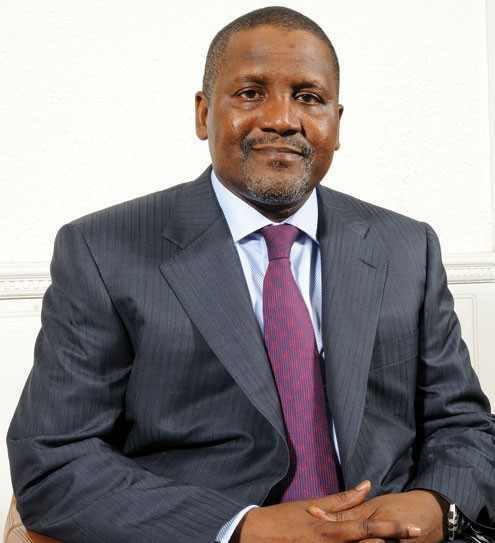 Africa’s richest Black man has since followed the official Twitter account of his company, Dangote Group as well as fellow billionaire entrepreneurs, philanthropist and global thought leaders including Kofi Annan, The World Economic Forum, Jeff Immelt, Bill Gates, Jack Welch, Gordon and Sarah Brown. More and more of Africa’s billionaire entrepreneurs and industry captains are joining social media platforms to give business and professional advice and share their wisdom, personal life experiences, news updates, opinions, funny anecdotes and pictures. This entry was posted in SCIENCE AND TECH and tagged Africa, AlikoDangote, Bill Gates, Dangote Group, Featured, Folorunsho Alakija, Strive Masiyiwa, Twitter, World Economic Forum.